Is the BBB a scam ? What's the real story? In this day and age is the Better Business Bureau and viable? Does anybody still use it? What do contractors think about it? And do consumers even care anymore? 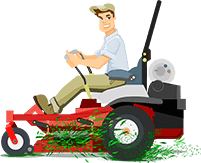 The answer to these questions is what GreenPal sought to answer when we conducted our survey of over 20,000 contractors in the lawn care and landscape maintenance industry about their opinions on the Better Business Bureau and its viability in 2018. Simply stated, the consensus seems to be Better Business Bureau may have had it it’s time and place offering information and insight into the reputability of local businesses however in today’s world of instant feedback and ease of access through platforms like Yelp, Thumbtack, and moreover industry specific marketplaces such as GreenPal, it seems that the perception of the BBB is that it is better years are behind it, and it seems to gone the way of the Yellow Pages. As if that’s not enough, our research shows that that the BBB has been under scrutiny in recent years for unscrupulous pay to its executives, and also it’s rating system has been called into question for legitimacy, fairness, and reliability. Some of even asserted that local businesses effectively can pay to have an A+ rating on the BBB while businesses that don’t pay don’t get a fair shake. One poll participant equated the BBB to mafia in terms of its strong handed tactics and waning relevance. It’s these allegations that that sparked our research and survey that we conducted so we could get to the bottom of understanding what the perception of the Better Business Bureau, and its viability, especially with respect to the home maintenance industry. We polled over 20,000 landscape maintenance contractors and asked several questions related to the BBB starting off with a simple one.. Do they participate in the Better Business Bureau. As it turns out, the results of our survey were staggering. 94% of respondents indicated that they did not belong to the Better Business Bureau or even check their standing on it. Put another way, they did not consider it a relevant place to monitor their reputation. Whats more.. Even more staggering and 78% of respondents indicated that they felt the Better Business Bureau was a fraudulent organization itself and that it misleads what few consumers still use it as a means to vet local contractors. But it does get better, 4% of respondents say that they are active members and that they get adequate return on investment for the money spent to join a participate in their local Better Business Bureau organization in terms of new customer leads and increase sales. So not bad if you put it another way that even today the BBB has 4% market share in the landscape maintenance industry. When you consider that a cost anywhere from $500-$1200 for a local business to participate in their local BBB it is certainly understandable for very smaller businesses to skip it and apply those advertising dollars elsewhere more performance based, such as Yelp, Thumbtack, or even Facebook. An institution that had its day. But think about it… 30 years ago before the Internet the Better Business Bureau was probably one of the only places to figure out who was good and who wasn’t when evaluating a local handyman, plumber, lawn care service, or home-improvement contractor. But the reality is this day and age where Facebook reviews, Yelp reviews, and online marketplace such as Angie’s list Thumbtack and industry specific marketplaces like GreenPal which are built to capture feedback around local home services contractor, the consensus among the respondents of our poll is that the Better Business Bureau best most viable days are behind it. What's the real story? Anecdotally, survey participants stated that the ones that did actively participate in the Better Business Bureau‘s and who did receive lucrative job leads from their advertising dollars report that BBB clients are mostly in the baby boomer generation over the age of 50. So to put it another way.. If a local businesses' primary target demographic is over the age of 50 , then the BBB might be a good place to invest time and marketing dollars. But that’s just part of the story… The overwhelming survey feedback is that the Better Business Bureau is barely relevant in today’s day in age and most likely won't exist 5 to 10 years from now, especially given that the organization's integrity has been called into question in the media and several well documented cases over the last few years. While the BBB’s PR battles are most likely a symptom of its fight for economic viability, fair enough, local businesses need to manage their expectations when investing their hard-earned advertising dollars into Better Business Bureau marketing. What’s the bottom line… According to our survey results those advertising dollars are probably better spent on more advanced platforms and review sites such as Facebook, Yelp, or industry specific marketplaces like Thumbtack.